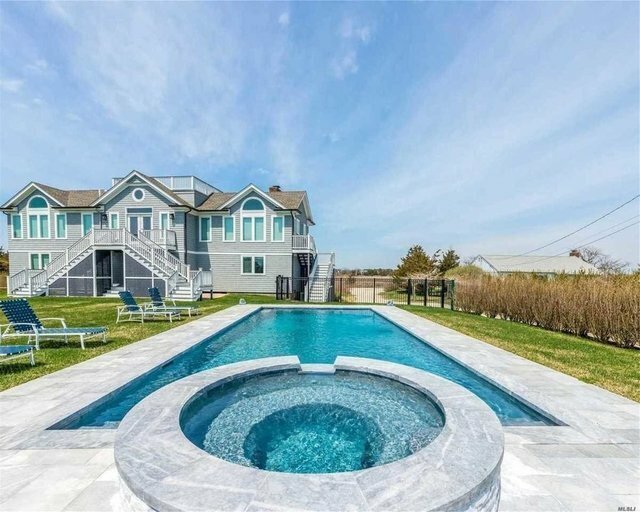 Post Modern, Residential - Quogue, NY Breathtaking Bayfront Newly Re-Constructed 6 Beds, 3.5 Baths, Eik W/Island, Dining Rm, Great Room W/Fireplace, 1st Floor Den All Beautifully Decorated And Furnished. First And Second Floor Decking Overlooking The Quogue Canal, And A Roof Top Deck Witih Specatular Ocean Views! Expansive Grounds For Entertaining Guests With A 20 X 40 Heated Gunite Pool W/Hot Tub. A Rare Find In Quogue Not To Be Missed! Being Sold Fully Furnished!